Ali Kishiyama is the Artistic Dance Director of Mayama and feels she has truly arrived to her ultimate dream. 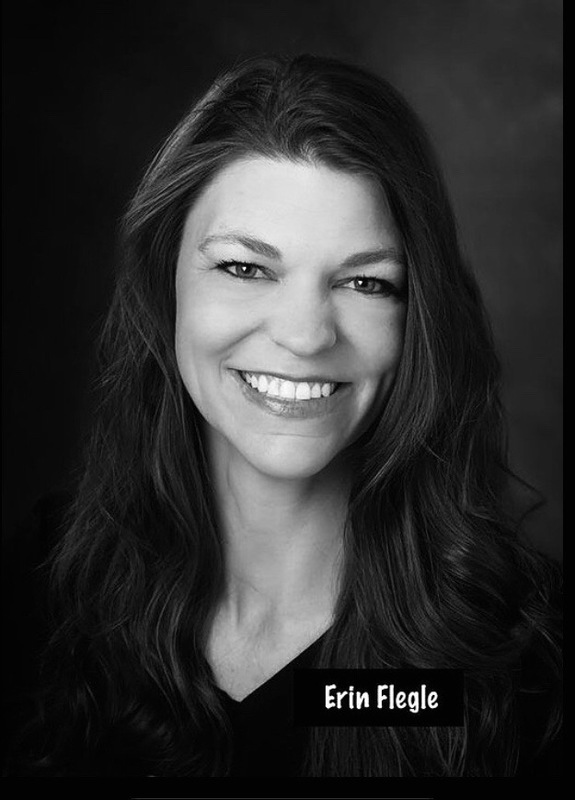 Originally from Nebraska, Ali grew up dancing various styles from a young age and then worked extensively on the eastern side of the state as a musical theatre choreographer and dance instructor. 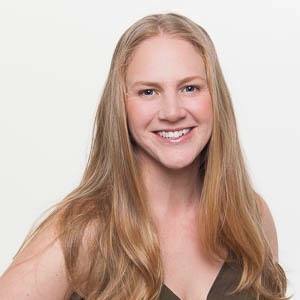 Since her arrival in Lyons, CO in 2000, Ali has choreographed for various high school musicals and show choirs on the front range and she possesses a Bachelor of Arts degree in dance from the University of Colorado, Boulder. 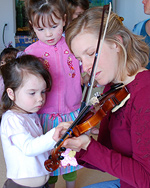 She enjoys spending time with her husband and two children as well as reading and attending concerts. She is proud of the success Mayama has achieved over the past ten years and is excited to continue bringing joy, wellness and creativity to all ages through the art of dance. Jasmine Lok is a licensed Nia Second Degree Black Belt. Her passion is to move and dance through life. 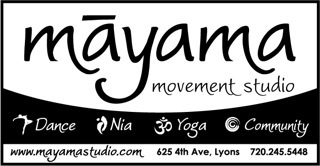 Jasmine opened Mayama with her business partner, Ali, in October of 2009. It has been an adventure of trust, hard work, and following her dreams. Every day she is thankful for the life she has created. Jasmine was always active and grew up dancing ballet, playing tennis, and skiing. Later in life she added yoga, martial arts, and hiking but teaching movement of any sort was never a goal of hers until she found Nia in 2007. Nia has changed her life and still changes it daily. Jasmine's classes are energetic and welcoming and are designed for all fitness levels. Jasmine has also undergone the following teacher trainings: Creative Movement for Kids, Nia's Move I.T., Inner Personal Power Yoga, Taiji Fit, and Ageless Grace. She is a life long learner and strives to broaden her kinesthetic knowlege. 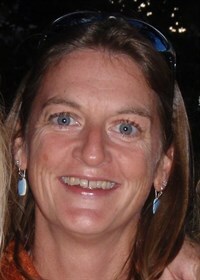 Kim Rand found and fell in love with Boulder County in 1990, moving from a small suburban town east of Boston, Massachusetts. She found herself out west with the space to grow and room to continue to develop her goals in life. In 1996, Kim graduated from the University of Colorado with a Bachelors Degree in Environmental Conservation. Her strong passion for the environment and love for the outdoors eventually landed her in the small mountain town of Nederland, Colorado, which she now calls home. Kim spends her free time outdoors in nature, hiking with friends and her dog, snowboarding, snow shoeing, river running and fly-fishing. She has truly found herself and her passion thru the practice of yoga and she continues to experience the spiritual journey yoga offers. Her practice and teaching is influenced by Hatha Yoga, Baron Baptiste’s Vinyasa Flow, Jivamutki, Anusara, and most recently, Maya Yoga. Kim’s passion brought her to Maui in April of 2009 to study “Maya Yoga” with inspirational teachers Nicki Doane and Eddie Modestini. Her emphasis is on awareness, breath, alignment and the integrity of the asana allowing the space needed to move energy and create positive change in the body and mind. She feels that the foundation of the pose is essential to a healthy and sustainable yoga practice and it’s through a safe and mindful practice that a student is able to heal their body and quiet their mind. Kim brings the ancient teachings of yoga philosophy into the classroom cultivating ones connection to self and the wisdom within. She encourages her students to take yoga off the matt and into their daily lives promoting healthy relationships in every aspect of life. Sirena has a passion for yoga, a long time student of asana and meditation practice, she yearned for more in her yoga journey. Following the signs of the universe, she ended up at Full Circle Yoga to complete her 200 RYT training in the Fall of 2016 and now teaches community yoga there. This opened her path to so much more that Yoga had to offer, such as mantra, the 8-Limbs, anatomy, body/mind connection, Chakras, Kirtan, wonderful yoga books and music, history, and a beautifully connected community that feels like hOMe. Sirena engages in deep connection with her students, encouraging that they embrace their own practice for where they are in their own journeys on and off the mat. As the Bhagavad Gita states “Yoga is a journey of the Self, Through the Self, To the Self”. Her classes start with meditative breath connection, warm up of the body, vinyasa flow, cool down with stretching and a yummy savasana, complete with oils for relaxation. Sirena’s passion for astrology is also built into her classes as themes following the moon phases, current Sun Sign, seasonal shifts such as Equinoxes and Solstices, and anyastronomical event in the works. She holds workshops on Astro-Yoga and also provides personalized astrology readings. Summer Templin Culp grew up in Telluride, Colorado, where she began dancing at the age of fourteen under the direction of Shirley Fortenberry and Valerie Madonia. Her family moved to Boulder, Colorado shortly afterwards where she continued to train with and be inspired by a wide-variety of teachers including Peter and Ana Claire Davison, Katie Elliot, Jillana, Michelle Ellsworth, Vernon Windsor, Gabe Masson, and Erika Randall. Summer received her BFA in Dance, with an emphasis in choreography from the University of Colorado. Summer has performed independently in works choreographed by Lindsay Pierce, Viki Psihoyos, David Lorence-Schefflers and Angie Yeowell. Summer has appeared in solo and group pieces in the American College Dance Festival and as a company member with Boulder Ballet, the Cabiri and Redd Legg Dance. Her choreography has been performed across the Denver Metro area and in the 2010 Beyond the Threshold: Seattle International Dance Festival. Summer is passionate about bridging the gap between contemporary ballet and modern dance and helping the next generation of dancers cultivate their artistry through well-rounded, healthful and holistic training. Wendy Olson began dancing at the age of three in Longmont, CO. Throughout her years of training she has studied jazz, modern, flamenco, ballet, pointe, lyrical and hip hop. For two years Wendy served as captain of her high school dance team while continuing to train at various studios. After spending two years as a dance major at CSU she moved to Denver to pursue a degree in Human Performance and Sport and spent time training in New York City and San Francisco. Since 2005 she has danced with the True II Form hip hop dance company under the direction of Kevin O'Keefe. Wendy's classes emphasize foundational hip hop dance styles including popping, locking and b-boying/b-girling, while incorporating elements from all other dance styles. Erin has been dancing her entire life and loves the art of dance! After high school musicals and many competitions, she accepted a scholarship to Oklahoma City University receiving a Bachelor of Performing Arts. She has toured nationally and internationally, as a dancer, instructor, and choreographer of Ballet, Jazz, Hip-Hop, Lyrical, Musical Theatre, and Tap. 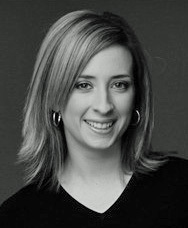 Erin trained, taught and worked with many talented dance companies, performing arts centers and schools, including The American Spirit Dance Company in Oklahoma City, the Gus Giordano’s Jazz Dance Company in Chicago, the Hoofers Club in Denver, and the Broadway Dance Center in New York City. Her teaching philosophy is a solid foundation of technique and training embraced by her students so they may continue to love the art of dance in many different genres. 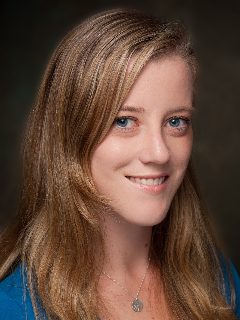 Erin continued her education at the City University of New York receiving a Bachelor of Psychology and continued on in San Francisco to receive her Master of Forensic Psychology. All of this education and experience with many age groups is helpful when trying to connect with each and every student in a positive and encouraging manner. Erin is also happily married and the mother of two beautiful children. She is committed to being a child advocate and hopes to promote the love of arts. Amber started dancing at the age of 3. She has also been teaching dance for children and choreographing since age 16. Amber was on scholarship at the University of Las Vegas for dance. During her time there she performed in several musicals, danced and choreographed for the UNLV Dance Company, and studied with various artists from all over the country. She completed her undergraduate degree at the University of Northern Colorado, where she performed with the UNC performing arts team. Amber then moved to New York to pursue her love of dance. Now she is back in Colorado running her own mobile spa business and Amber is looking forward to continuing her dancing and choreography with Mayama Dance Studio. Qiyra Edmonds grew up in Hill-Top Dance Studios in Kansas City where she spent 20+ years learning and eventually teaching dance. She spent 10 years performing with the Kansas City Dance Theatre Company during that time. After participating in dance scholarships in jazz (Chicago), tap, jazz and ballet (New Jersey) and ballet (New York) she headed off to college where she obtained her Masters in Physical Therapy. She spent years working as a physical therapist and became mama to two beautiful girls. Recently she has performed (Joseph and the Amazing Technicolor Dreamcoat, A Grand Night For Singing, and Scrooge!) and choreographed (Camelot) at Jester Dinner Theatre in Longmont, often with her children and once with her husband. Assisting creative movement at Mayama and performing/choreographing with Jesters has brought about a return of the dancing bug! Qiyra sees that dancing never left her. She hopes to continue to spread her joy of dancing with all she meets, young and young at heart alike! 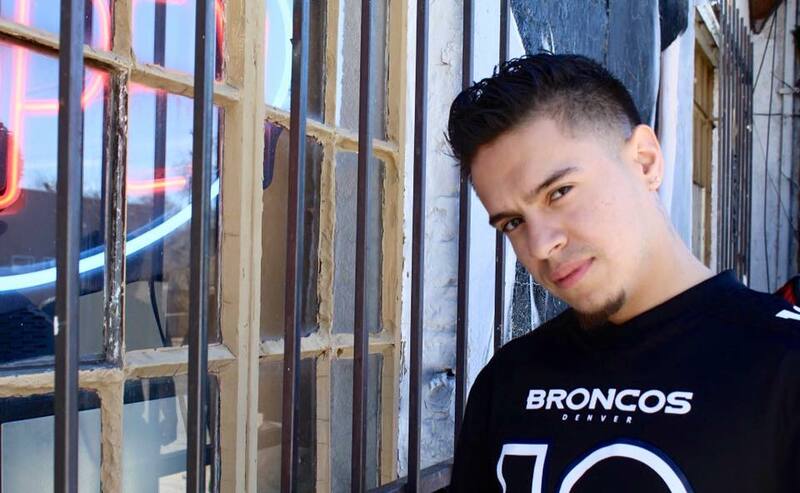 Jacob Gomez began dancing in 2008 at the Longmont Youth Center. He was immediately drawn to breaking and received the opportunity early on to travel to New York City for a Hip-Hop conference. Upon returning, he joined the renowned crew GWT and performed on prestigious stages, including for the artist Eve. Today, he competes professionally on his own and with his current crew BreakEFX. Together, they have traveled to battles around the United States, earning accolades from some of the best in the scene and winning both Battle of the Elements and King of Hearts. He is dedicated to advancing his own craft as well as teaching, empowering, and inspiring the next generation of b-boys and b-girls. Roslynn Regnery is a Play Therapist and Nature-Based Therapist, who realized as an adult that dancing is a birthright and essential to living her own empowered life. She began practicing Nia with Jasmine Lok in 2010 when she moved to Lyons, CO. Roslynn is a licensed Nia White Belt and hopes to continue her Nia education for her lifetime. 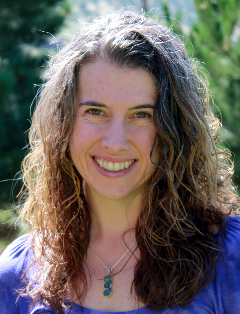 Roslynn has experience being a dance / somatic therapist in Melissa Michael’s Surfing the Creative and Movement Masses in Boulder, CO. She has worked in Montessori and Homeschool Preschools, and loves how children move in the way of their heart. Roslynn has a BA from Oberlin College and MA in Wilderness Therapy from Naropa University. She hiked the entire Appalachian Trail, from Georgia to Maine, in 2004-2005. Roslynn also enjoys drinking hot tea, jaw-dropping beats, finding sacred nature spots, contra dancing, living on the St. Vrain river, and eating with her hands. 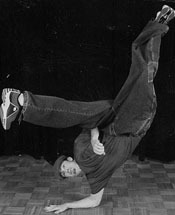 One of Colorado's original Hip Hop teachers, Kevin O'Keefe has an extensive background in all Hip Hop Styles. He received training from industry pioneers- Clyde Evans, Eric Finn, and Quickstep. He has performed with; Don Campbell Lock Jr., Electric Boogaloos, Lady Jules, the late Gary Kendall of the Jabbawockeez, and is a former member of Motion Underground's Hip Hop Company EOM. He's been a guest artist at The Arena in Switzerland, The San Francisco Hip Hop Festival, The Colorado College Dance Festival, The Breaking Pointe in Montana, CU Boulder, and CSU Ft. Collins. Kevin is now bringing this unique flavor to many studios in Colorado and is the Founder/Director of True II Form Dance Group.